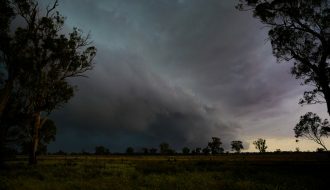 During the period 28 to 30 September 2016, a significant weather event unfolded across southern Australia that resulted in numerous weather phenomena occurring including thunderstorms, hail events, possible tornadoes, heavy rain, wind and flooding. South Australia was by far the worst hit state with thunderstorms causing significant and widespread power outages across most of the state. It appears that two tornadoes may have occurred although the location has not been identified. Up to 22 electricity towers and three high voltage power lines were brought down and an inter connector to the Victoria power grid was shut down. A multiple loss of 275,000 volt power lines during significant storm activity is the cause of the widespread state wide power outages. Power was restored to most of the state Thursday morning. A significant thunderstorm passed over the town of Clare north of Adelaide that dropped 34.6 mm of rain with most of that falling between 3.45 pm and 4.30 pm on the afternoon of the 28 September. The storm dropped 18.6 mm of rain between 3.47 pm and 4 pm which is more than 1 mm per minute. Storm damage occurred at Melrose in the Flinders Ranges, Blyth and Clare and the towns of Blyth and Cleve were affected by significant hailstorms. 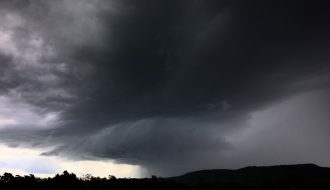 Thunderstorms passing over the Adelaide Hills during Wednesday afternoon dropped 25 to 35 mm of rain. By 9 am 29/9/2016, rainfall totals across the Adelaide Hills ranged from 30 to 79 mm with the highest totals around Mt Lofty. The town of Clare had 53.8 mm of rain till 9 am 29/9/2016 followed by a further 32.8 mm to 9 am 30/9/16 for a total of 86.6 mm. Strong wind gusts also featured and a peak wind gust of 91 km/h was observed at the Snowtown weather station at 3 pm on the 29/9/16 and a gust to 89 km/h occurred at Port Augusta at 12 noon (29/9/16). A small number of rivers or localities are in flood and major flooding is occurring at South Para Reservoir while moderate flooding is occurring at Heaslip Road. 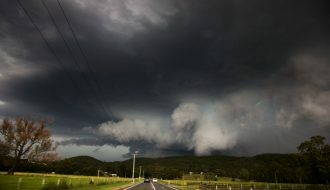 The weather system moved across much of New South Wales and Victoria but the dramatic events that occurred in portions of South Australia did not occur. Reasonable rainfall totals were observed across the highlands of North East Victoria and southern New South Wales but significant downpours did not occur. 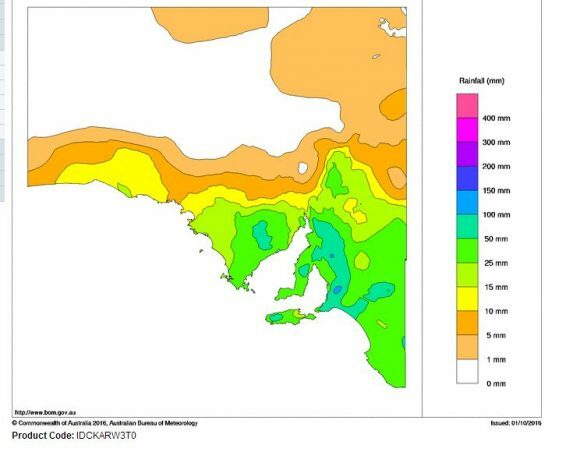 For the week ending 1/10/16, the whole of North East Victoria and Southern New South Wales had received between 50 mm and 100 mm of rain but this was spread across 7 days. 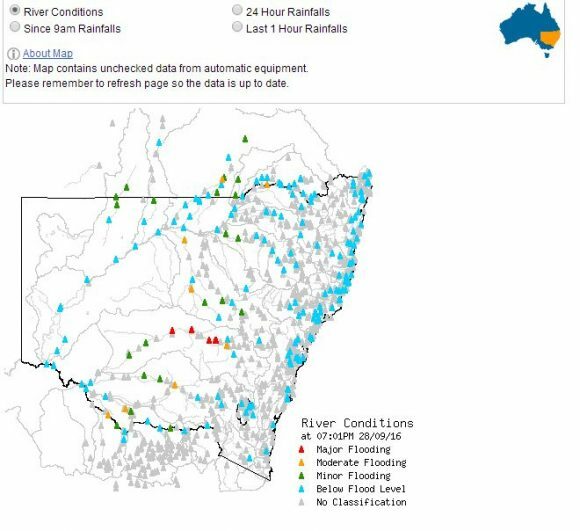 This was enough to cause renewed rises in local rivers and streams and minor flood warnings exists for the Kiewa River. There were renewed snowfalls across the higher peaks of south east Australia and the Mt Hotham weather station recorded a peak wind gust of 144 km/h. A weather station at Falls Creek registered peak wind gusts to 107 km/between 2.15 am and 3 am on the 29/9/2016. Such winds were limited to alpine regions only. As the system passed over, a numbered of centres experienced peak wind gusts of 80 km/h or greater including Ballarat (Victoria) and Broken Hill (Western New South Wales). Across the farming belt of of New South Wales, rainfall was not heavy but it was persistent. There was enough rain to aggravate a significant flooding situation on the Lachlan River. At the present time, a major flood peak is passing along the Lachlan River between Euabalong to the west and Forbes to the east. That is a separate event in itself but it is causing significant disruption to communities in affected areas as it slowly passes downstream. Further rainfall across the region only aggravates the flooding situation. 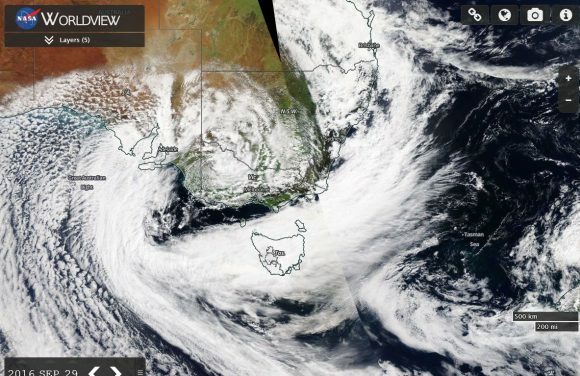 Much of Tasmania was impacted by moderate to heavy rain on Friday morning. 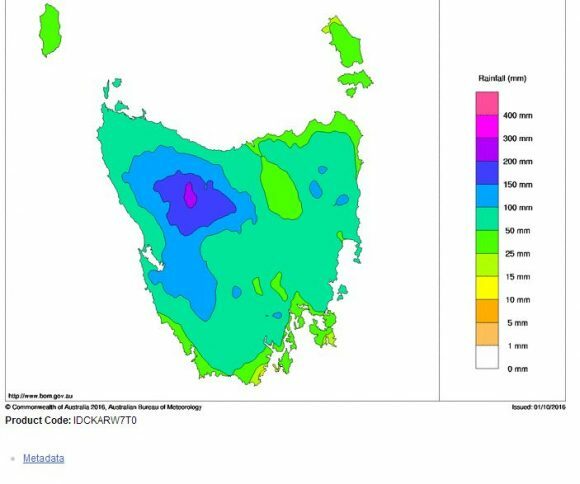 For the week ending 1/10/2016, parts of north west Tasmania had received in excess of 200 mm of rain while 50 to 100 mm fell around Hobart. The satellite photo of southern Australia from NASA Worldview (AQUA) with overlays acquired 1/10/16 is showing an interesting cloud feature swirling around the southern part of the country. The low was centred over north west Victoria. Tasmania is being affected by heavy rain while a surge of cold air and low cloud surges north into South Australia. 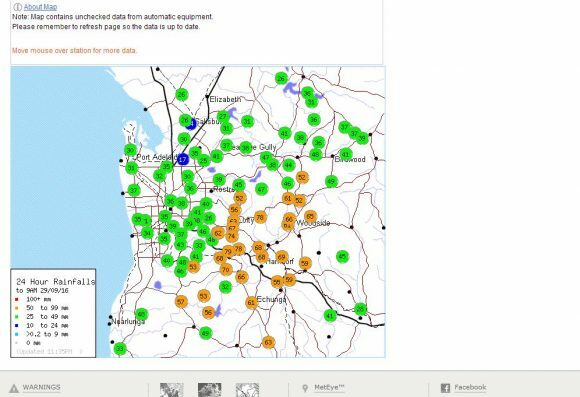 Bureau of Meteorology - (Data from various weather stations) acquired 1/10/16. 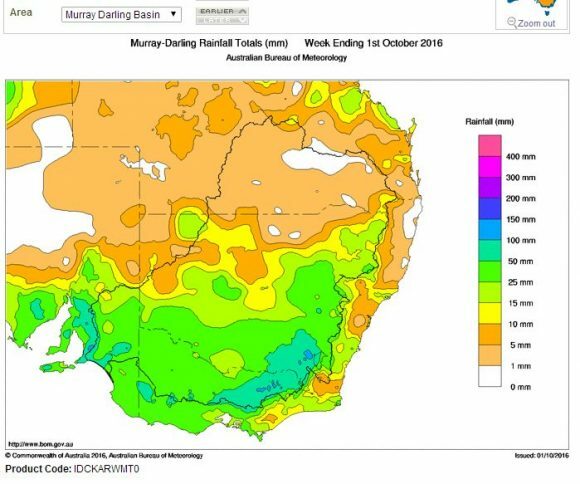 Bureau of Meteorology - “Water and the Land” for rainfall plots. NASA WORLDVIEW - Satellite photo of southern Australia for the 29/9/2016.